Living under the Tucson sun grants you so many advantages, including nearly year-round outdoor fun. But over time, that beautiful sun’s ultraviolet rays wreak havoc on your skin, causing changes in tone, texture, and tightness. If you’ve noticed jowling, volume loss, and sagging skin, you may wonder if it’s time for a face-lift. When you come for a consultation, our dermatologists help you choose the right therapies to make the improvements you want — without a single stitch. Below are brief descriptions of some of the options you have for tightening your skin, so you can forget about face-lifts for good. One of the more obvious and difficult-to-treat signs of facial aging is the so-called turkey neck. Neck skin is thin and isn’t well attached to the underlying muscle, which makes it vulnerable to wrinkling and sagging. ThermiTight® uses the power of radiofrequency (RF) energy to gently heat your neck skin so it begins to repair itself with new collagen and elastin. Our dermatologists insert a special probe into the treatment area that conducts RF to the deepest layers of your skin. After just one treatment, your skin rebuilds itself, becoming firmer and tighter over the next weeks to months. As with most skin rejuvenation techniques, fractional lasers harness the power of heat to stimulate your skin’s healing and collagen remodeling processes. 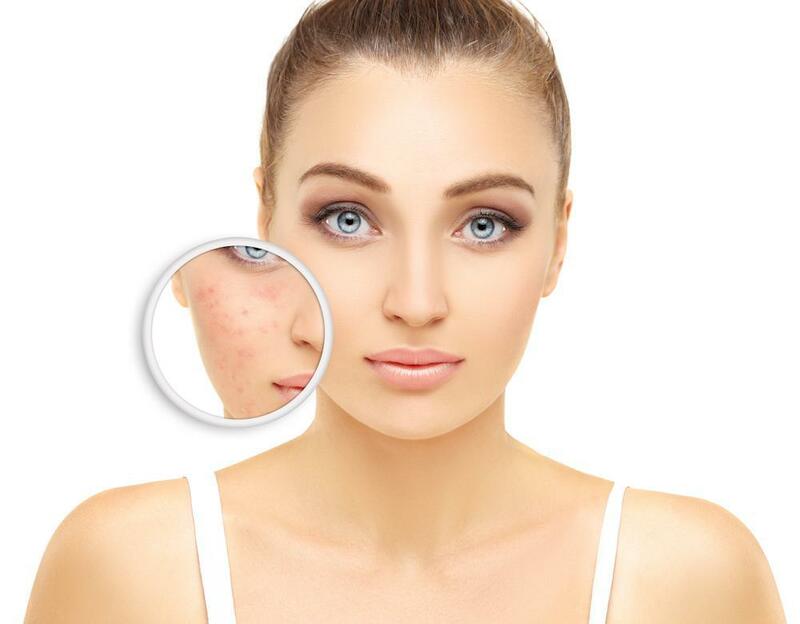 Fractional laser therapy has the added bonus of also clearing your skin of brown spots and other forms of hyperpigmentation, and improving the look of shallow scars. Fractional lasers remove the top layer of your skin, so your face may look reddened and flaky for up to two weeks. Once your skin heals, however, you notice that your face is tighter, firmer, and clearer, and the improvements further emerge over the next weeks. You only need a fractional laser treatment once every 2-3 years. Gentler than ablative lasers, IPL uses high-energy light to penetrate your skin, breaking up hyperpigmented areas and stimulating healing. You need a series of 4-6 treatments to get the improvement you want, but there’s no downtime whatsoever. Skin tightening with IPL is subtle and best used on early signs of aging. If your sagging neck is compounded by a double chin, Exilis® may be the solution for you. Exilis combines RF energy and ultrasound energy to melt away excess fat and tighten your skin. You may need a series of 2-4 treatments to eliminate your double chin and tighten your submental area. Like a face-lift in a syringe, a Silhouette InstaLift™ lifts your skin using two different mechanisms. First, our dermatologist injects and pulls upward on a suture thread that instantly lifts and tightens your skin in a vertical direction. Next, the sutures stimulate collagen remodeling so that your skin tightens itself, growing thicker and healthier over time. You need to apply ice packs to control swelling after your procedure and sleep with your head elevated for up to five nights. Your doctor also advises you on a number of other minimal lifestyle adjustments. Sculptra® Aesthetic is a collagen-inducing dermal filler composed of poly-L-lactic acid (PLLA) microparticles. Unlike fillers made of hyaluronic acid (HA), Sculptra doesn’t replace lost volume in your face with a gel. Instead, the PLLA microparticles induce collagen restoration, so your skin rebuilds itself over time. Our dermatologist can create a mini face-lift with Sculptra by injecting it in your cheekbones to lift and firm your skin. Sculptra also fills out and smooths deep wrinkles and folds, including nasolabial folds. Sculptra can last for up to two years. Depending on your needs, our team may select one or more types of skin-tightening treatments to create a nonsurgical face-lift. We may also recommend HA dermal fillers for fine lines and wrinkles, or Botox® to smooth out dynamic wrinkles on your forehead or around your eyes. If you’re ready to tighten your skin without surgery or significant downtime, call us today. You can also book a nonsurgical face-lift consultation online.